NYX Gaming Group Limited were delighted to send a press release on 12th January 2017 to inform all online casino operators that their games had finally been approved by the Canadian government of each province. Canadian players will now have access to their wide array of games thanks to NYX. This is a great news for NYX who are striving to expand their horizons in 2017. Canada has been on the list of emerging markets of online casinos for a while now, but the government sure made it difficult for players to enjoy slots. Many of the top performing European game providers such as NetEnt and Yggdrasil are banned in this country. What are the top performing games offered by NYX? 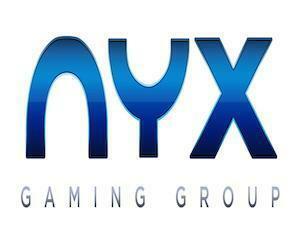 British players are familiar with NYX games since this market has never been restricted by the game provider. Many players have had the chance to play Foxin win again, Gorilla go wild and Medusa. If you’ve not yet tried these hit games you should head over to Rizk casino who offer NYX’s full game portfolio and also a generous 200% bonus up to £100 to new players. Rizk Casino also offers games from the following provider Betsoft, Edict, Evolution, Genii, Green Tube, IGT, Microgaming, Netent, NYX, PlayNgo, Quickspin, Quickfire, Scientific games. They are the proud inventor of the award winning wheel of Rizk which new players will have the chance to spin when they first sign-up! Good luck to all!